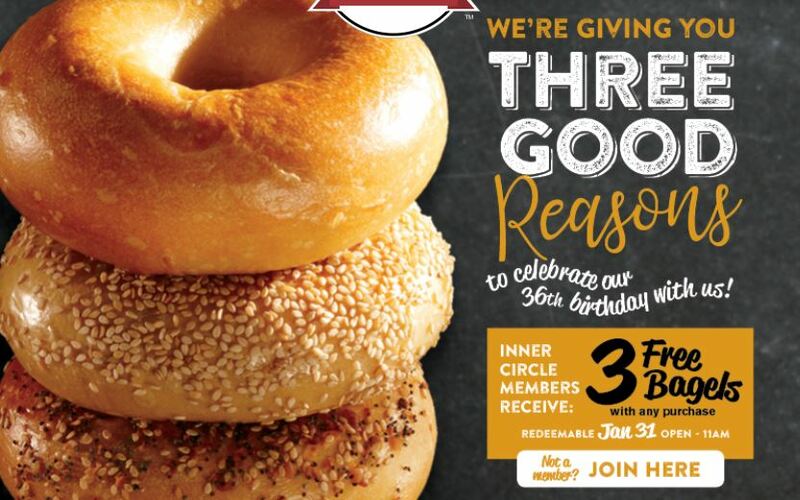 National Bagel Day is happening on February 9th, BUT at Bruegger’s Bagels you can celebrate EARLY because their birthday is January 31st! Stop in for FREE bagels to celebrate their birthday next Thursday! Previous post: “You’re My Person” Valentine’s Day Socks $3.49 shipped!